Students of the Fairhill community engage with arts and Latin cultures, develop their own creative expression and experience social and academic success through participating in Centro Nueva Creación's programs. Please look below to see how you can support Centro in continuing to provide such meaningful programs for these students and their community. $20 supports arts, music, and basic classroom supplies. $35 supports group outings for students, like a trip to the Franklin Institute. $75 supports the development of outdoor garden space where children learn about gardening, nutrition, and the joys of playing in the dirt. $95 supports a semester's tuition for one student. $190 supports a full year of tuition for one student. Craft Supplies – markers, crayons, paint, beads, etc. Educational Games – chess sets, mancala, etc. Office Supplies – filing cabinets, folding chairs, shelving, etc. ​Please contact Executive Director, Maribel Lozada Arzuaga, at 215-426-8762 or goodlands.director@gmail.com if you would like to donate supplies. Amazon makes it easy for you to contribute. 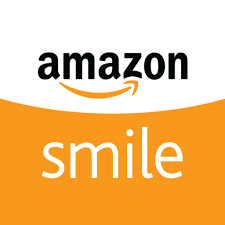 Use this link when you shop and the AmazonSmile Foundation will donate 0.5% of your eligible purchases to Centro Nueva Creación! All donations to Centro Nueva Creación are tax-deductible (Tax ID: 232800298).